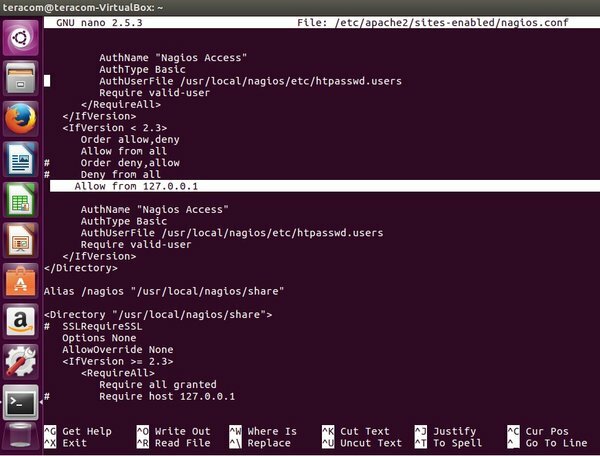 How to install Nagios local server on Ubuntu OS? To have reached this question, you should need a software for remote monitoring of electrical or non-electrical quantities, networks, services, etc. In this article will be described how to install Nagios local server – step by step. 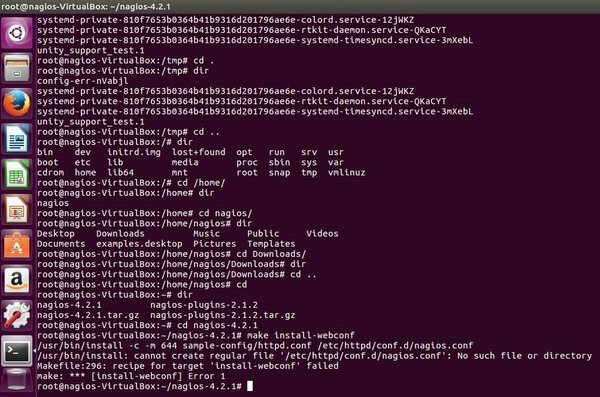 In the document, the following packages are used – Nagios 4.2.1, Nagios Plugins2.1.2, and Ubuntu 16.04. It is assumed, that the user is familiar with Linux and already has a workstation with Ubuntu 16.04. You will be asked for a password, then the console goes into the root mode. This error is caused by Nagios process. It tries to create a configuration file in the directory /etc/httpd.conf/. But in Ubuntu, this configuration file should be placed in the directory /etc/apache2/sites-enabled/. The address nagios@localhost should be replaced with the desired email address. To save changes, use a keyboard shortcut Ctrl+X. After this choose Y and press Enter. The document remains with the same my name. After the execution of the following commands, a password for user nagiosadmin will be required. To save changes, use a keyboard shortcut Ctrl+X. After this choose Y and press Enter. Delete the # character from the row “Allow from 127.0.0.1”. This will allow Nagios process to be accessed at 127.0.0.1/nagios or localhost/nagios. So if there is a configuration error, only the last changed file should be checked. The base installation of the system allows monitoring only of the local host (computer). It is necessary to allow to Nagios process access to other hosts – switches, routers or other servers. After this command, an editor will be open. From the last line #cfg_file=/usr/local/nagios/etc/objects/switch.cfg the character # should be removed. This will allow Nagios process to access configuration file, where the host data are written. 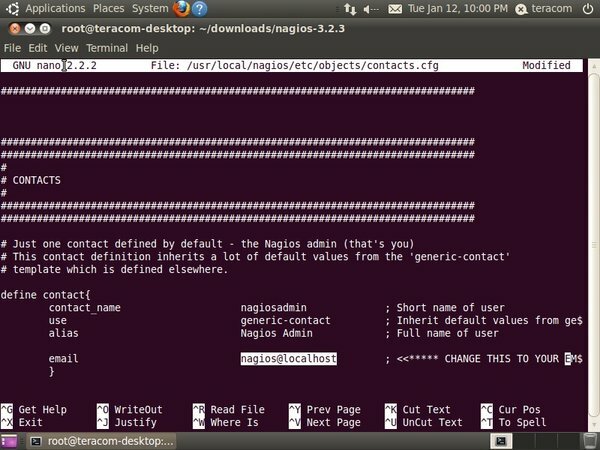 After saving changes in the configuration file, you need to restart Nagios process. The new host is now available through a WEB interface. The basic installation of Nagios includes service for monitoring the host only. To add additional services should be available a plugin, which performs the service and posts the results in the user interface. We hope that this article was helpful enough to learn how to install Nagios local server and use it with different hosts.